There are some incredible deals out there on the Lenovo Thinkpad X61 tablet PC. 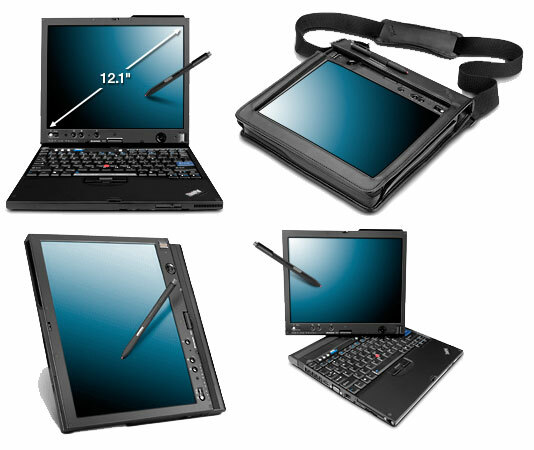 Since the X200 tablet replaced the X61, the deals are quite incredible. Lenovo is still selling the X61 as a brand new unit, so you can order a custom configured model. If you want to experience the Lenovo Outlet, that's one option if you're not in a rush to get a new laptop. However, I would suggest trying to find an "open box special."